Suki Kim has always felt a connection to Korea. She was born in South Korean before her family moved to New York early in her childhood. Although too young herself to have lived through the Korean War, her parents have vivid and terrifying memories of fleeing to the South and of the loved ones lost forever somewhere beyond the arbitrary line drawn between the North and the South. Kim never feels quite at home in New York nor in any of the several other countries she visits. Korea always calls to her, and she feels like she must answer that call in order to find the answers to questions she's not sure she understands. She is able to visit North Korea a few times as a journalist, but each time, everything is staged. Everything is controlled down to the "pedestrians" the journalists see on the sidewalk. Kim knows she must get a closer look, so when she hears about a teaching position opening at a university in Pyongyang, she leaps at the chance. She must disguise herself as a Christian Missionary disguised as an English teacher in order to secure the position and teach the nineteen and twenty year old sons of North Korea's elite. It is through these young men that she is able to see into a world that very few have seen and are ever able to escape. This book is beautiful, terrible, enraging, and heartbreaking all at once. 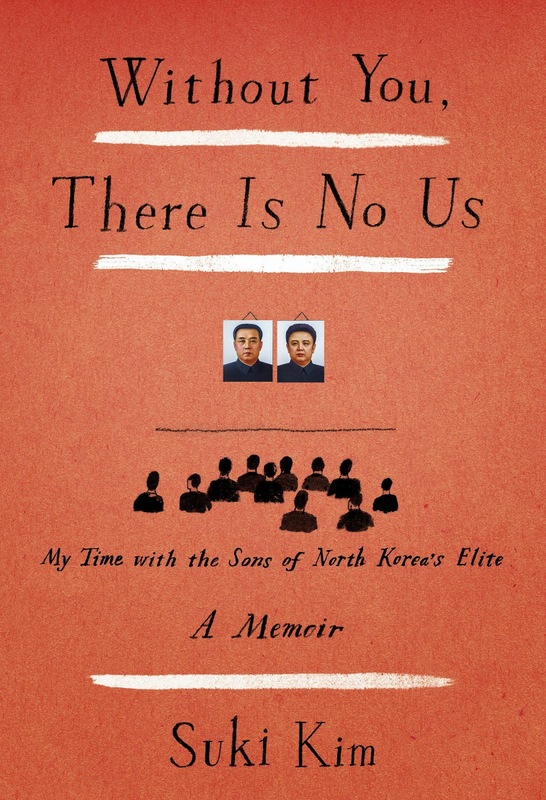 The situation alone in North Korea is enough to run anyone through the emotional gamut, but what really makes this true story so touching is Kim. She is so honest and open, not only in the telling of events, but in the way that the experiences in her life affected how she reacted to the realities of Pyongyang. Kim is completely transparent with her life and emotions, her flaws and strengths. The reader really knows who is telling the story and why she needs to tell it. But, her honest and touching writing would mean nothing if it weren't for her students. The men, or gentlemen, as Kim likes to call them (and they giggle when she does) are so fascinating. They are so simple yet so complex. The realities of North Korea, the lack of internet, the blatant lies about the governments accomplishments and the evils of the rest of the world, the lack of truth, lack of electricity, of proper food, of proper housing, of any sort of freedom, have all shaped them into people that are hard to understand. They are innocent, for they know so little of the real world. But they are also frightening in a way, able to tell bold face lies without blinking. It is this strange combination of innocence and malevolence that seems to permeate the country. And it is so sad. They are truly the product of their horrible environment. Kim wishes she could save them all. She wishes she could take them all away, or maybe tell them just how bad it really is and how much better it could be. But she cannot. If any of the gentlemen were to start expressing "treasonous" ideas they could very well be killed. And even if they were all to keep quiet, her telling them how good they could have it would only make their suffering worse knowing what they cannot have. She does what she can, and it breaks her heart that what she can do is so little. It is an emotionally taxing experience to read this book. But as Kim knew it was her responsibility to share her experience with the world, it is the world's responsibility to read it. And then, maybe one day, we will be able save her gentlemen. Use the link below and your purchase will help support the Lone Book Club!